純粋階段, originally uploaded by nor1. 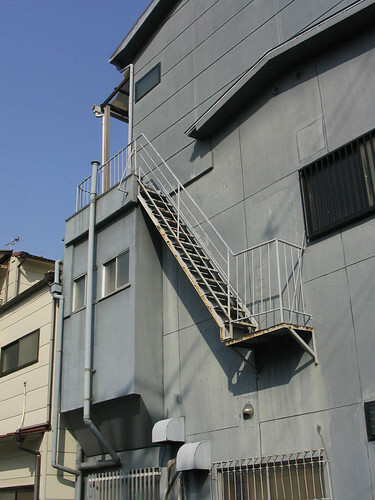 Atelier Bow Wow is my favorite Japanese architecture firm. Rather than by building or proposing some kind of Roarkian vision, they first made a name for themselves [besides the catchy name they made for themselves, I mean] by observing and reporting architecture as it was inadvertently happening in Tokyo. Such ad hoc, aggressively undesigned accidents stick in my mind as I read about Tomason [also spelled Thomason and Thomasson in English]. If dame architecture is the awkward result of relentless functionality, Tomason are the useless, abandoned leftovers. 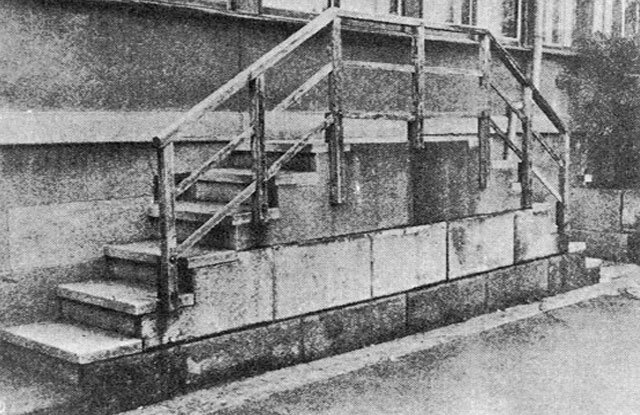 Stairs to nowhere are a favorite. Bricked up windows are a close second. Tomason are the flashings and detritus of the incessant churn of building, destruction, and redevelopment that characterizes the Japanese city. No clean slates here, no way. The term comes from the art & architecture collective formed in 1986 known as Rojo Kansatsu [Roadside Observation], which counted the author/artist Akasegawa Genpei as a founding member. Rojo’s inspiration was Gary Thomasson, who was given the biggest contract ever in Japanese baseball in 1981-2, only it turned out he couldn’t hit; then he blew out his knee. He was a giant, useless lump on the bench. Rojo exhibited at the Japanese pavilion at the Venice Biennale in 2006 [i.e., the architecture biennale, not the real one. heh], but I found out about Tomason from an essay on neojaponisme. Like everything there, it’s too long by design. 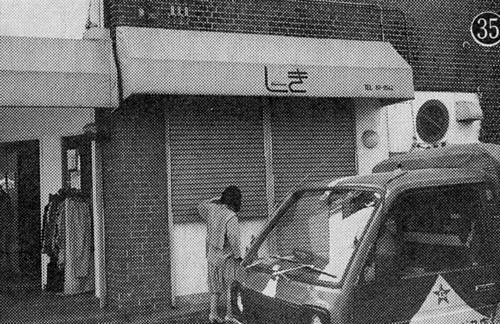 The image below from neojaponisme, of a store shutter without a storefront, is from one of Akasegawa’s original books. It reminds me of some of the Powerless Structures sculptures by Elmgreen & Dragset. There’s also a rather nice photopool on flickr. here’s the japanese tomason tag and here’s the thomason group.